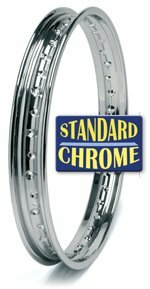 Our new Standard Chrome rim is an entry level chrome aimed at the cost conscious buyer who still demands a high level of quality. The Tri-Nickel rim is given 3 layers of nickel before finally being chrome plated for extra depth of both quality and endurance. 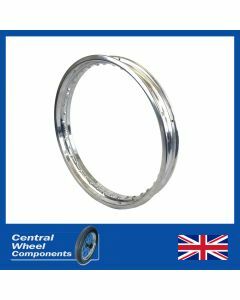 These rims arrive to us pre-chromed and we then drill them to suit your requirements.